My 6 favorite Custom Polo Shirts for uniforms, groups, golfers and more! 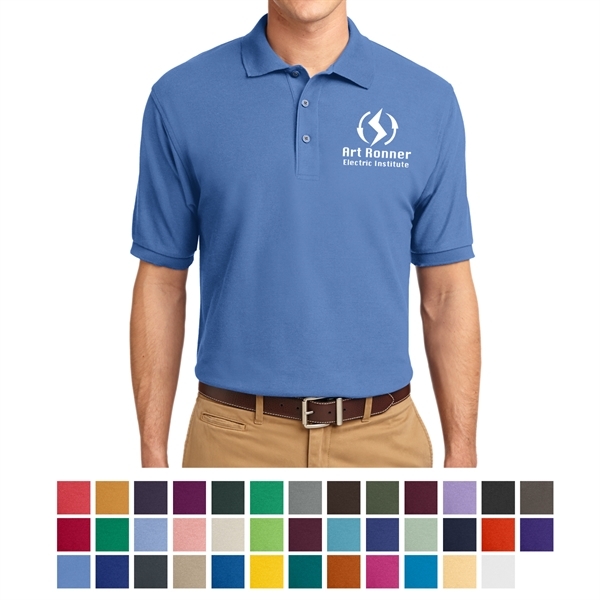 Custom Polo Shirts are a great way to promote your business or brand with style! If you're shopping for school uniforms, business casual outfits for corporations, gifts for affinity groups, outfitting a team or golf tournament, custom polo shirts can be a great choice. If you're reading this, I assume you're open to some industry advice when it comes to the very best and most popular polo shirts. Maybe that or you're tired of clicking through hundreds of options available at online retailers. Either way, the good news is that I've collected my favorites in one helpful buyers guide so you can make a great choice when it comes to buying custom polo shirts. Everyone's reason is a little different. Polo shirts are one of my most popular branded apparel items year after year and especially popular with my corporate clients. Besides being stylish and comfortable, people choose polos because they come in a lot of great colors and materials. Some even have features like moisture wicking, contrast stitching, SPF protection, lay flat collars, and even odor and wrinkle resistance too! What brand of custom polo is best? It depends on your priorities. We carry all the top brands like Nike, Under Armour, Adidas, Port Authority and more. The best polo is typically the one that fits your budget and comes in the color you want, with features you need. What types of logo imprinting styles are available? Embroidery is the most popular imprint style and my personal favorite because it looks so sharp. Many of our polos can use methods like silk screening and even heat transfer for full color imprints. Not sure which imprint style is best for you? Let's chat! While front chest is the most popular location, many of our polos can be imprinted on the back and even the sleeve. Can't choose just one? Do you know that you can imprint on multiple locations? So if you'd like your company name on the front chest, your logo on the sleeve and a message, slogan, phone number or url on the back, that's no problem at all! Yes, and there are two main ways to order. 1. If you're a "do it yourself" type or ordering after hours, you can always shop my online store. 2. If you're not into DIY, or not familiar with graphic files, or just don't have the time to figure it all out, I'm available for one-on-one assistance! What are your best selling Custom Polo Shirts? The Nike Golf Dri-FIT polo is a great choice even if you're not a golfer. It features moisture wicking materials and comes with a modern tailored fit! This Under Armour polo features a fuller cut for extra comfort, and has anti-pill and anti-odor technologies. It even has built in SPF30+ protection! The Climate Polo from Adidas is made to be breathable and stylish and comes in 11 bright and fun colors. Great for every day or athletic use! The Port Authority Silk Touch Polo features wrinkle and shrink resistant materials combined with a lay flat collar so you always look your best. With contrasting stitching, this UltraCool moisture-wicking polo won't just look good, it will feel good too. A really unique look at a great price! 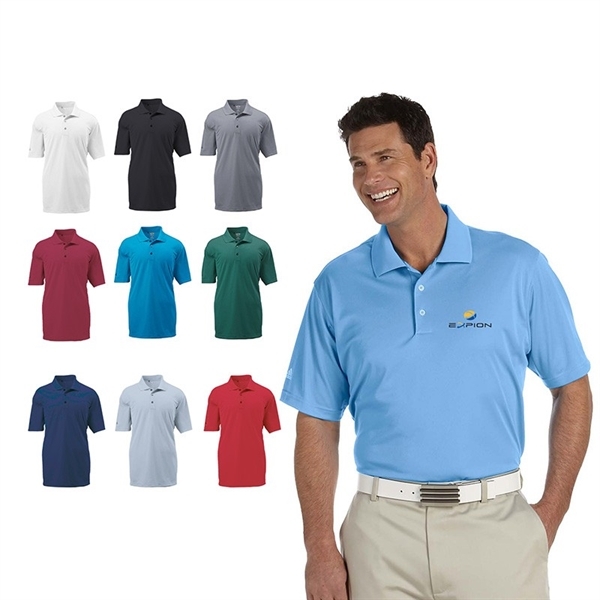 Available in 11 hot colors, the Sport-Tek PosiCharge Polo is an excellent choice for business casual or active users. Just add your logo & message!